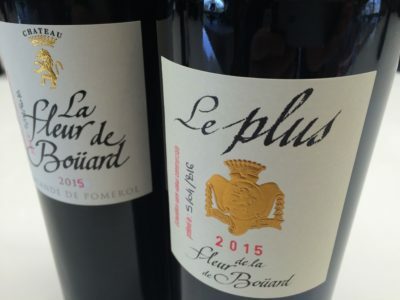 Château La Fleur de Boüard and Le Plus de La Fleur de Boüard are excellent this year, amongst the most impressive wines yet from this estate owned by the family that run Château Angélus. 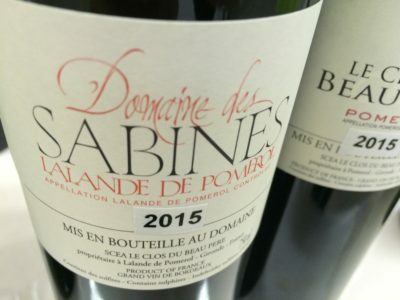 Domaine des Sabines is ripe and creamy with plenty of extract and matter. While there is a lot to sink your teeth into there is a glossy polish to the wine that’s a trademark of anything Jean-Luc Thunevin has a hand in. By contrast, Château de Bel-Air is a Lalande de Pomerol from the JP Moueix stable. It is light and fresh with the emphasis on sappy fruit and bright acidity in 2015. Unfortunately with time cut shorter on this years primeurs trip I didn’t get a chance to taste the dozen or so Lalande de Pomerol’s at the Grand Cercle event held in St Emilion. I would be pretty confident given the overall quality of the wines in the right bank this year that Château de Viaud, Château Grand Ormeau, Château Siaurac and Château de Chambrun amongst others would have produced good wine. I’m out in the region later in the year and will taste these wines and report back. In the meantime, here’s detailed notes on four Lalande de Pomerol 2015s that I did get to….